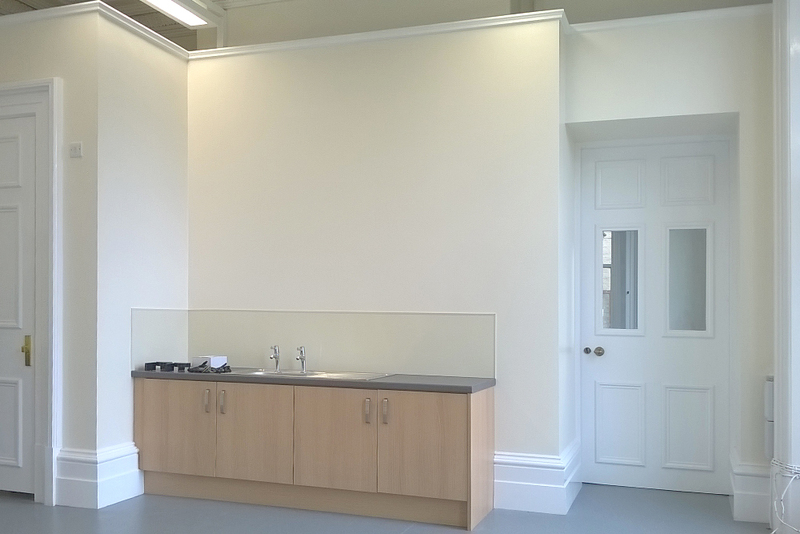 Watson Batty are pleased to announce the completion of the refurbishment scheme at Bronte House School, which includes a state-of-the –art commercial kitchen and new dining hall infill. 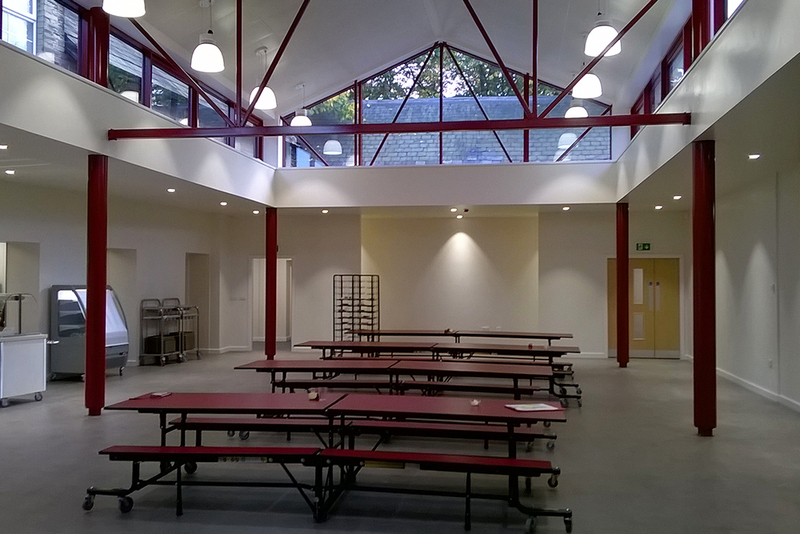 Commencing in March 2016, the works consisted of the conversion of an old science classroom and outbuilding to create a modern kitchen space, whilst the adjacent external courtyard has been transformed in to a brand new multi-functional space, forming its purpose of a dining and assembly hall. From inception through to completion, WBA where appointed solely responsible for the entire design, which included the interior design as well as obtaining listed building consent alongside the conservation officer. 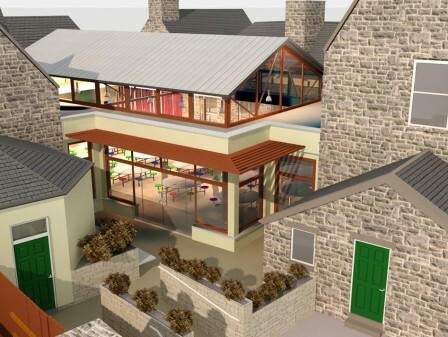 With clear storey windows and original stone walls, the new hall offers a subtle reminder of the external space it now inhabits, while the old kitchen, servery and stores have been stripped out to create modern staff and visitor washroom facilities along with a new meeting room. 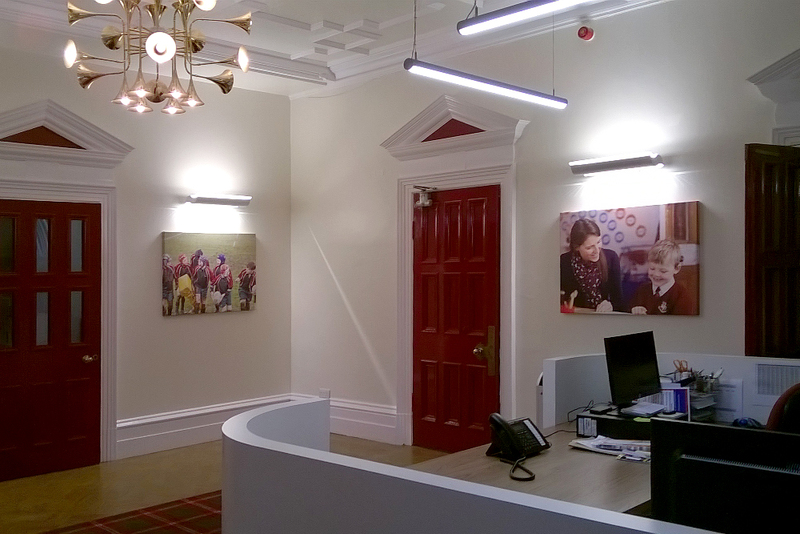 Creating an inviting welcome to the school and one that reflects the school’s music prowess, a new visitors front entrance leads to a bright and spacious reception and visitor waiting gallery, complete with a feature trumpet light fitting. 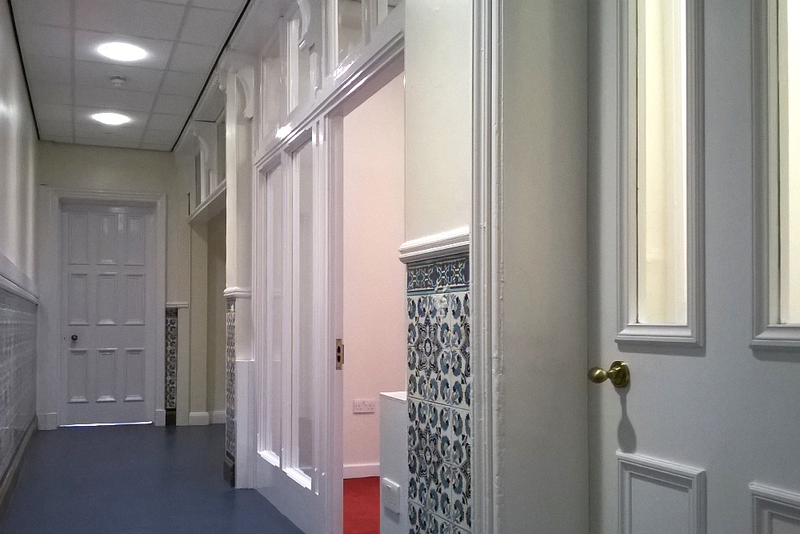 A new classroom suite, including a shared provision space for wet activities, has been cleverly created though the reorganisation of admin space which is further enhanced to give maximum flexibility through interconnecting doors, internal glazed screens from the adjacent classrooms and a dedicated ambulant unisex washroom. 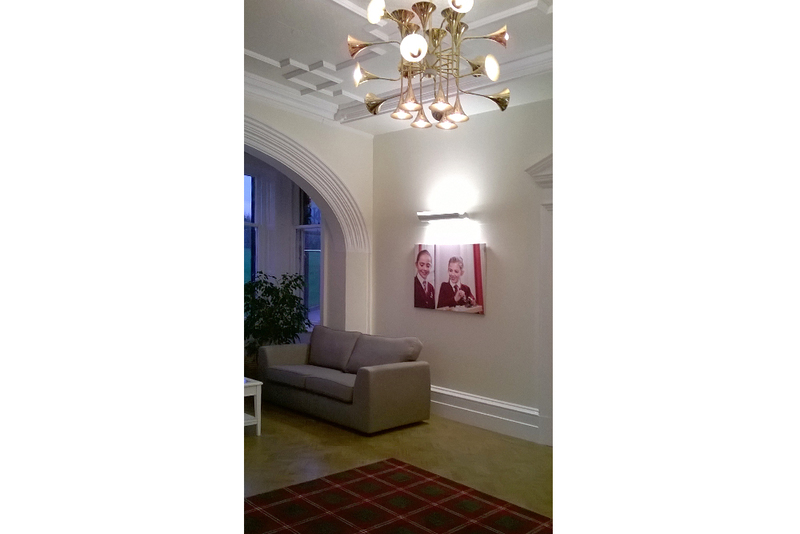 A key focus of the team when delivering the project was to ensure great care was taken to retain and respect the original Grade II listed features whilst giving them a fresh lease of life through new décor, finishes and lighting. 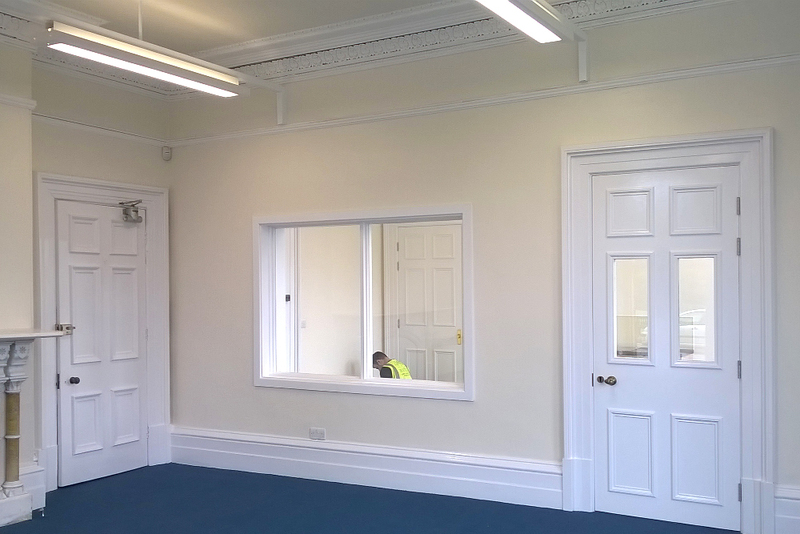 The refurbishment of such a building came with its challenges, a major one was the discovery of a well in the exact location where a foundation pad was proposed, but the experienced team appointed overcame this and more to deliver the project in October 2016.